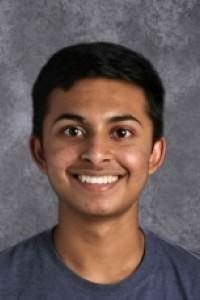 Akash Gururaja, a senior at Linn-Mar High School, has been named a distinguished finalist in the Iowa Top Youth Volunteers of 2019 Prudential Spirit of Community Awards. Akash co-founded “Carnatic for a Cause,” an organization that has raised more than $24,000 for community causes since 2015 by organizing a series of performances featuring young artists. The initiative, which has featured 75 performers at events in five cities, has benefited causes ranging from a local women and children’s center to flood victims in Chennai, India. The program recognizes students for their impressive community service activities. As a distinguished finalist, Akash will receive an engraved bronze medallion.